When I met with my midwife last week she told me that the Kiddicare store in Hedge End ran a range of classes for pregnant mummies-to-be and yummy mummies with their tots. 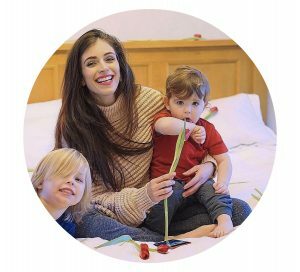 As I’m already a MASSIVE fan of Kiddicare thanks to their amazing service and of course, fab prices, I was really keen to give their classes a go! The classes are all held by different agents who rent out the space in Kiddicare, and the antenatal class that I decided to try was run by a group called Bumps and Beyond. They are run by qualified midwifes in the area and are absolutely fantastic! The particular class that I went to was on Tuesday evening 6-7 and was held by a lovely midwife called Ann. As it was the beginning of the year the class hadn’t filled up yet so it was quite a small class which actually worked really well! We had lots of room to move around and I got a chance to meet two yummy mummy’s, one of which is due to give birth to a little boy the day before me! The class consisted of light aerobics, toning, dance, coordination, relaxation and stretching. I didn’t realise how much I’d missed exercising and although it was a lot lower intensity than I was used to before pregnancy, I really felt the burn and found that I came out of there feeling like I’d done something! Of course we didn’t get out of breath or hot, but I felt more flexible and calm which will definitely help me towards a better labour! The classes run as a course of 6 for £30 which I think is really great! The team seemed really flexible and friendly on this and if you start later than the 6 weeks, you can just pay for the classes that you attend. It was really great to be in the hands of someone who not only knows the right and safe moves for pregnant women, but someone who actually has a passion for mummies and babies. Bumps and Beyond also run Aquanatal classes and seen as Rabbit loves the bath already, I’m going to give this a go next week! There are loads of other classes that you can do at Kiddicare including baby yoga, baby massage, ceramics and interactive music activity groups! You can pop into the store or call them up to check out their timetables but for pregnant ladies I would definitely recommend coming along to the Bumps and Beyond classes!